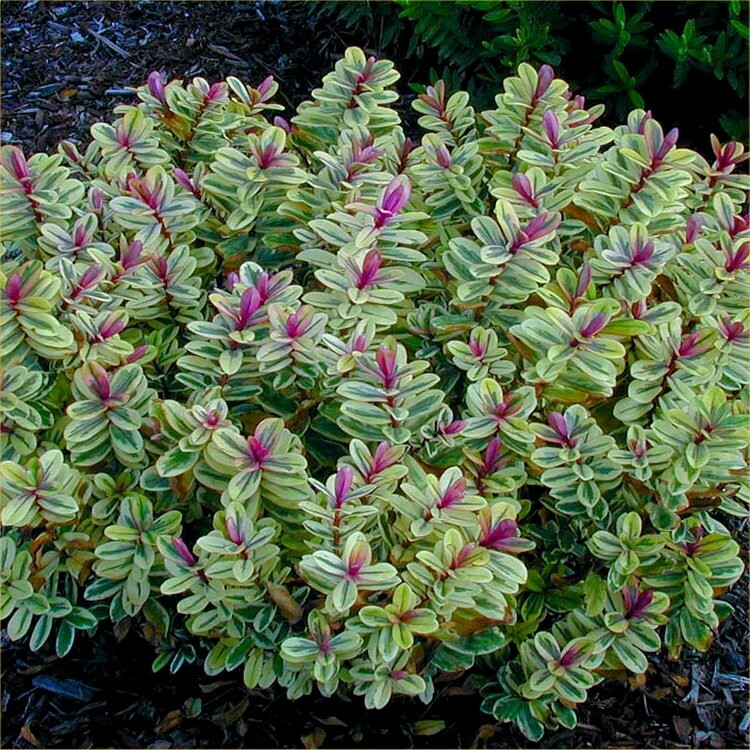 This really is one of the most fantastic small evergreen shrubby Hebe plants available with attractive green and cream foliage, tinted with purple-pink, especially to the new growth. Small purple flowers appear through summer and autumn. 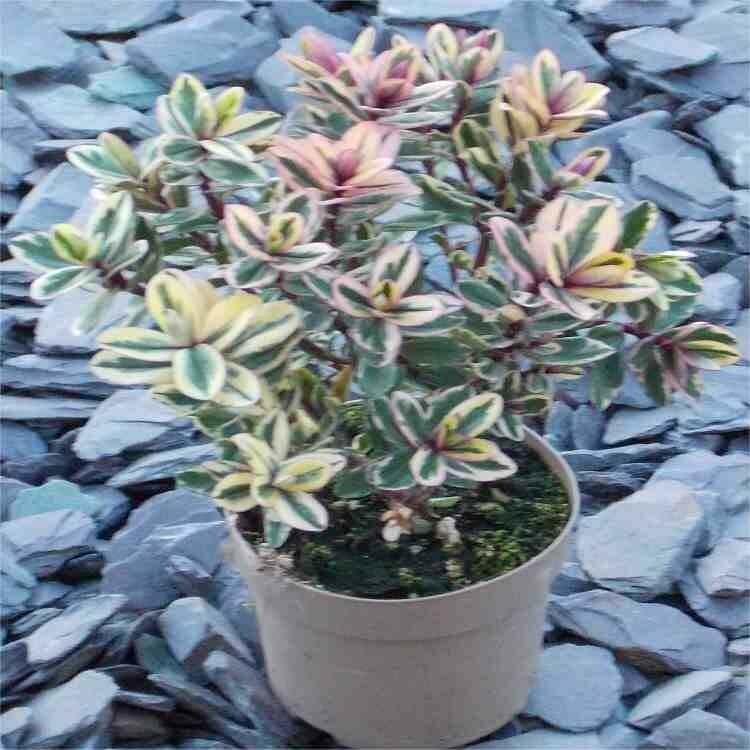 Often found in beds and borders, it will also prove an excellent addition to a container, especially in the Autumn and Winter period where it will provide welcome interest in the coldest months. 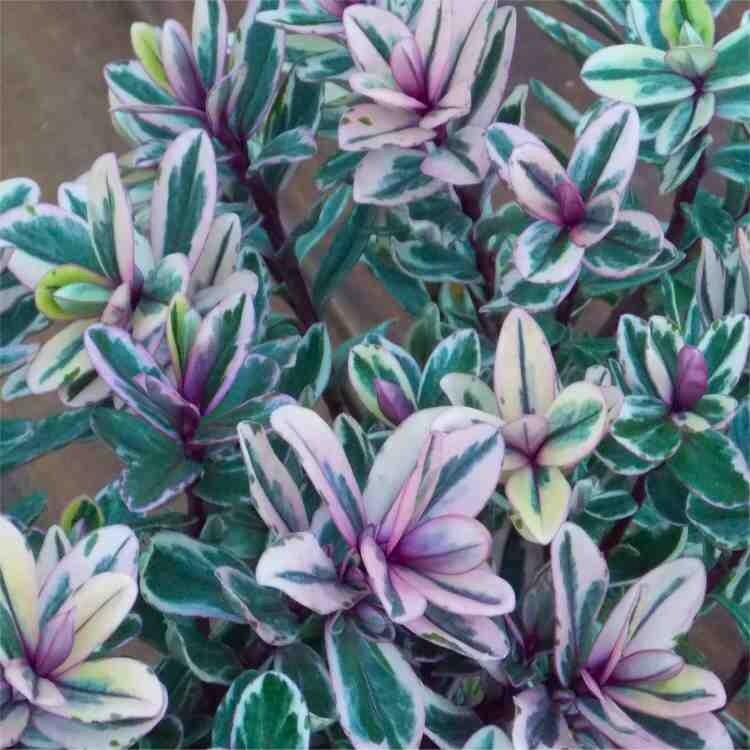 Try in your planters, used on its own for impact, or to add height to a mixed display of other plants. 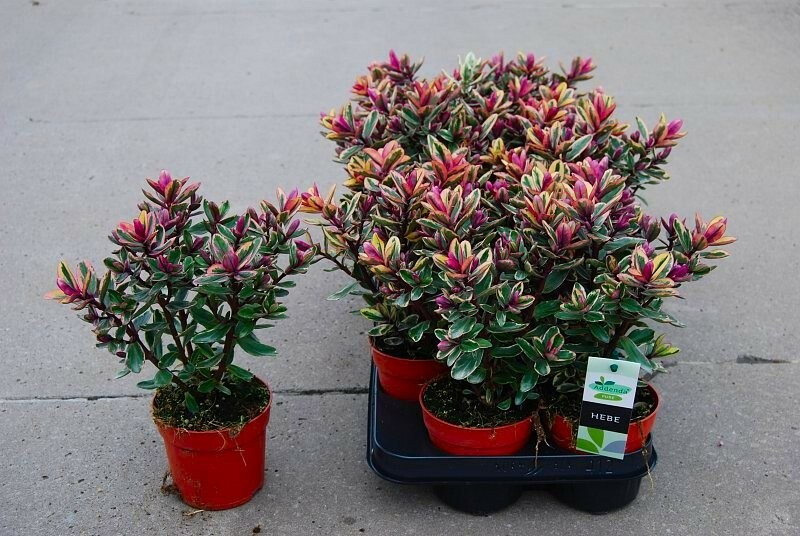 Bushy plants as pictured in approx 1 litre pots, looking lovely.